NEWPORT, Ky. -- Shayna Hubers' mother says she feared for her daughter's safety from the first moment she met Ryan Poston. Hubers' attorneys started their defense in her week-old murder trial Monday by calling the person who may know her best. 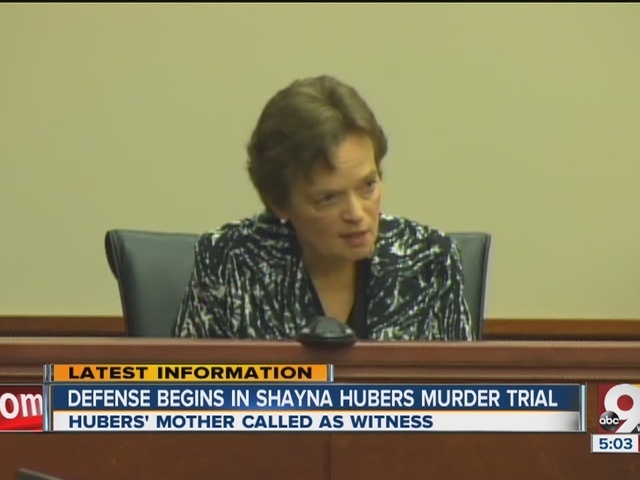 Sharon Hubers testified about her first impressions of her daughter's boyfriend and what happened with Shayna that day, Oct. 12, 2012, before she shot him six times in his condo. Sharon Hubers was on the stand for only about an hour, but the defense hopes what she said sways the jury toward self-defense instead of murder. She recalled the first time met Poston in 2011. "I was taken back. He couldn't look me in the face," Sharon Hubers said. She called the inside of Poston's Highland Heights condo "nasty" and said all the guns she she saw set off alarms for her daughter's safety. "I saw some loaded guns about. There were two on the love seat in the living room in tan-colored holsters. Other weapons sort of in a -- stuff all over the kitchen table and counter." Early on the day Poston died, Sharon Hubers testified, she got a 3 a.m. call from Shayna at Ryan's place. "She was sick. She was in pain. There was fear in her voice," the mother said. Sharon Hubers said she sensed something was terribly wrong, so she drove from Lexington to Highland Heights. Things calmed down -- Sharon and Shayna went shopping - and they went their separate ways. Sharon said she went to visit relatives in Xenia, Ohio, and Shayna went to Highland Heights. 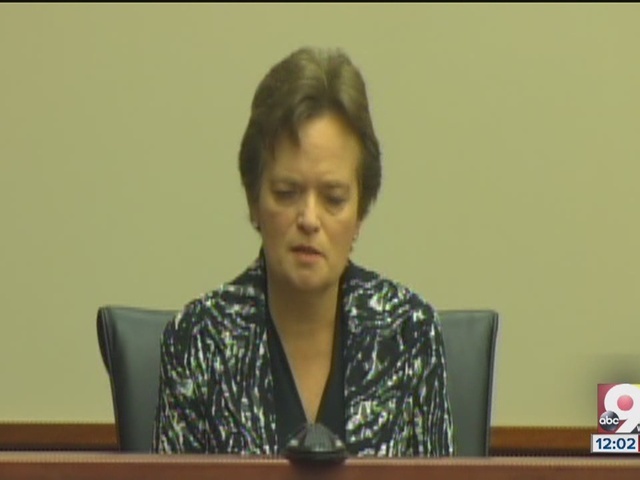 The defense also described phone calls between the mother and daughter on the night of Poston’s death. Much of Sharon Hubers testimony centered on that night. Everything changed hours later when Sharon Hubers got a new call from her daughter. “She was hysteria, terrified, in shock, beside herself. She was a mess,” Sharon Hubers said. She wasn't allowed to say what prompted the emotion in that call. Shayna had shot Ryan six times and called her mother before getting help for him. The defense asked her what she told her daughter. "'Shayna, call 911 and tell them exactly where you are and exactly what happened,'" Sharon Hubers said. Shayna, 24, has admitted to killing Poston, a 29-year-old attorney, but her attorney says she did it in self-defense. The defense went to lengths to paint Poston as an overworked and abusive boyfriend. 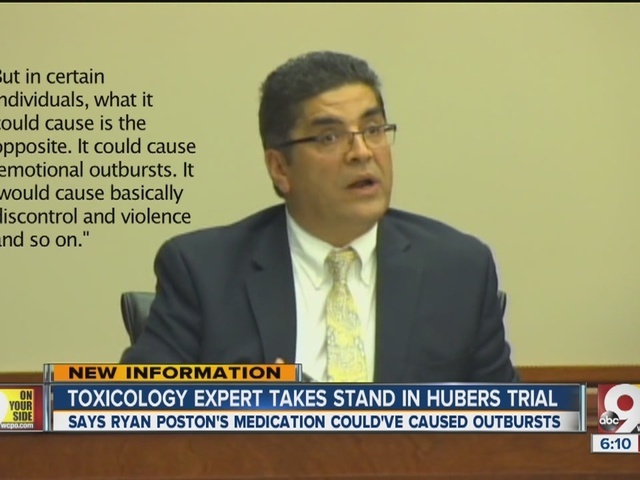 Later in the day, a toxicologist testified that the mix of medication found in Poston's body could have led to violent outbursts. The defense claimed Poston was overworked and under extreme pressure from his firm. Birkenhauer was asked to read angry social media postings from Poston about an impending breakup with his law partner. The chief said Poston later posted that he agreed to sign the agreement to break up the partnership. 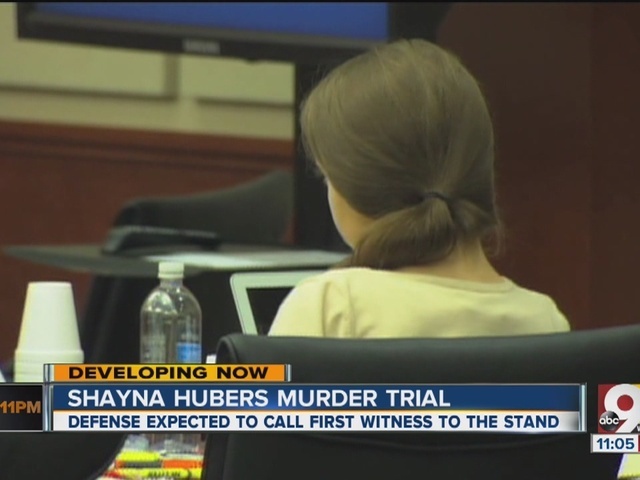 The defense also contested statements Shayna Hubers made about shooting Poston in the face. Police say Hubers told them she shot Poston in the face to give "him the nose job he always wanted." The case could be in the hands of jurors by the end of the week. RELATED: Did meds make Hubers' boyfriend violent?